In 1964 Martin Luther King, then 35 years old, was the youngest Nobel Prize laureate. He received the Peace Prize for his nonviolent campaign against racism. King adhered to Gandhi's philosophy of nonviolence. In 1955 he began his struggle to persuade the US Government to declare the policy of racial discrimination in the southern states unlawful. The racists responded with violence to the black people's nonviolent initiatives. In 1963, 250,000 demonstrators marched to the Lincoln Memorial in Washington, where King gave his famous "I have a dream" speech. The following year, President Johnson got a law passed prohibiting all racial discrimination. Alfred Nobel (1833-1896) was a Swedish chemist who invented dynamite. Because he didn't want to be remembered as a man who became rich by finding ways to kill more people faster than ever before, he set aside the bulk of his estate to establish the Nobel Prizes, to be awarded annually without distinction of nationality. The Martin Luther King statue was on display in the Nobel Museum during the week of the 50th anniversary of Dr. King's assassination. 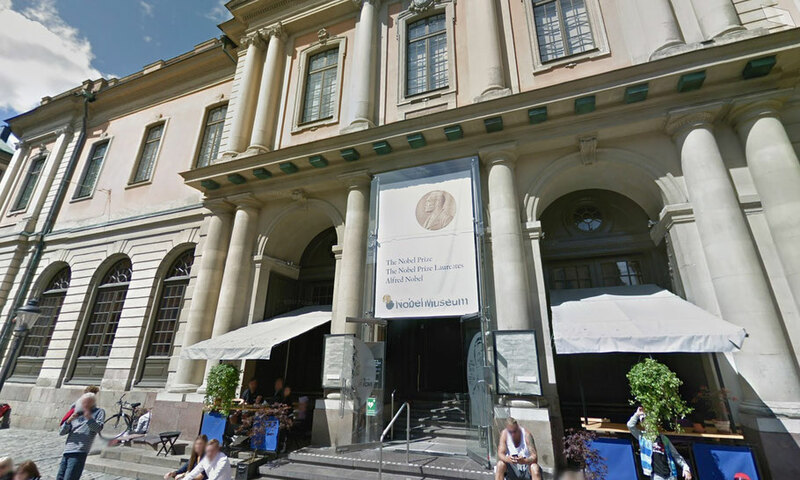 Nobel Museum is located in Stockholm.